Liquitex basics acrylic paint is developed for beginners and students that need quality at outstanding value. Each colour is uniquely formulated to bring out the maximum brilliance and clarity of the individual pigment. The box set is ideal for learning colour theory and colour mixing, all colours hold the AP Seal from ACMI and are safe for educational use. 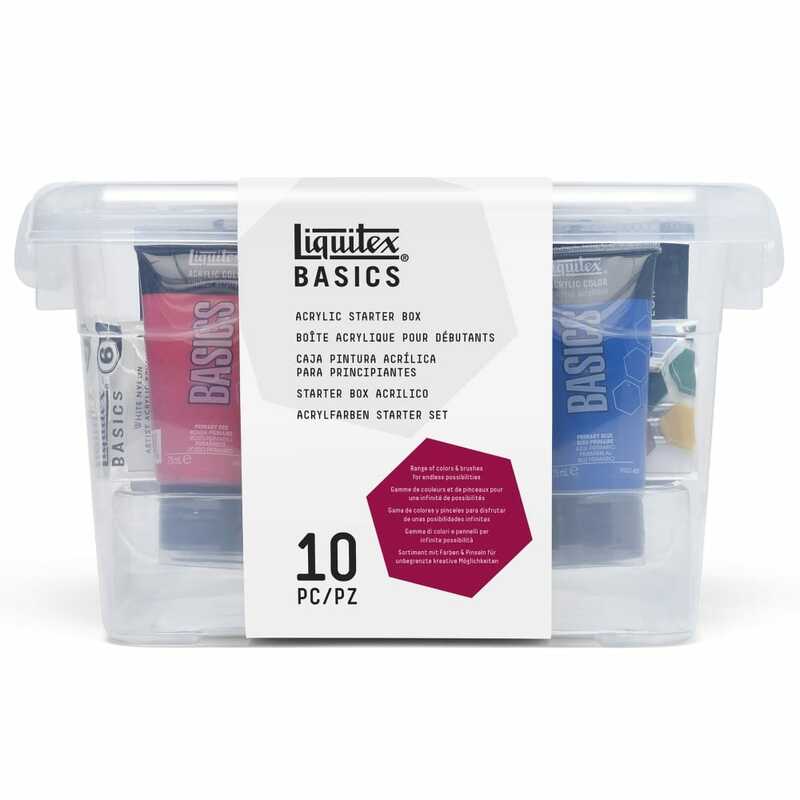 The box set contains 75ml paint tubes (primary red, primary blue, primary yellow, hookers green, burnt umber, yellow oxide, mars black and titanium white) paint brushes and colour chart all in a re-usable plastic storage box. Best online price from Craftyarts for this branded acrylic starter set- I love it.